Bumps are nothing but small lesions with a pocket of fluids that occurs in our body, anywhere like Eyelid bumps, mouth, leg, etc., Now, in this useful article, we will explain you about the bumps on the eyelid causes, symptoms and treatment. There are types of bumps related to eyelid infections, such as Cyst, Styes, and Xanthelasma. Cyst on eyelid: It may form little bigger than styes. It is also called as chalazion or meibomian cyst or tarsal cyst. But, the characters of cyst and styes are somehow same. If it is causing trouble on your eyelid mean, then we need to remove with a small operation. Meibomian cyst or tarsal cyst. But, the characters of cyst and styes are somehow same. If it is causing trouble on your eyelid mean, then we need to remove with a small operation. 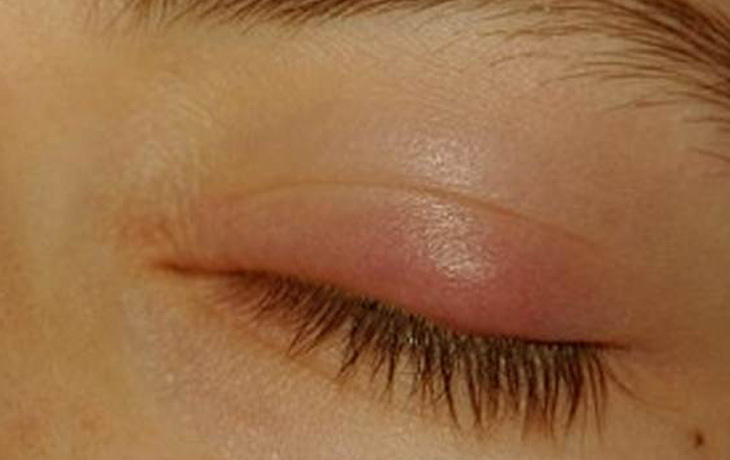 Styes have occurred because of the oil glands in the eyelids affected by the bacteria. Sometimes it may form more than one at a time. It makes you feel like a pain and irritations and also sensitive to sunlight. Xanthelasma is mostly occurred for the older adults as painless yellow bumps due to certain fat built up under the skin. Blepharitis is different, it caused common eyelid inflammation that sometimes assist with the bacterial eye infection. It occurred mostly at the end of the eyelids. The eye becomes like a red and watery. Feels like an irritation sensations, and occur pains. Mostly it occurs on the upper eyelid, but it occurs on lower eyelid at sometimes. The vision of your sight is not affected because of the bumps. Pain may occur due to blinking the eyelids. There are some home remedies available to get rid of eyelid bumps. Aloe vera gel will help you to reduce the pain, and it may help to cure the bumps at some situations by applying it as a thin layer on eyelids. By applying ointments, you are safe from the infection. So take all the hygienic precaution to avoid infection. Cold water compresses are helped you to relieve from the pain. Please wash your hands with soap before clean your eyelids. Hot, warm compresses also help to recover from the bumps. It is a best home remedy out of all. Hold the clean cloth or cotton that has been with hot water on it for 5 to 10 minutes up to three or four times per day. It sometimes helps to drain the pus quickly. Once the pus comes out, the pain will be reduced, and the bumps are also cured. By applying antibacterial ointment on the stye or cyst, we will prevent from the infection. Please don’t try and avoid squeezing or popping a stye or cyst. If you attempt to pop, then it can increase the disease and spread the bacteria to another eye. If any herpes infection, you have to contact your eye doctor (ophthalmologist). Your doctor may puncture it and drain out the infected fluids. And he might prescribe some ointments (antibiotic creams) to protect from further infections. There are no need home remedies for the Xanthelasma. You need surgery to remove it with the help of a doctor. Eyelid Bumps cured after draining of the pus or infected fluid. It will take few more days to recover as normal. According to the AAO (American Academy of Ophthalmology), the cyst on the eye will disappear within a month when treated at home. Even though, please consult with your ophthalmologist about the situation of the bumps. By washing your hands with soap water or hot before touch your eyelids as being hygienic. And you can protect from the eye cyst by rinsing your eyelids daily. By taking cholesterol free healthy foods might prevent Xanthelasma. Will Eyelid Bumps occur again? Most of all, eyelid bump or cyst will not occur again. Take a massage on your eyelids on every morning to prevent stye. If you feel like an irritation on your eyelid, make warm compresses as soon as possible to avoid the cyst on the eyelid. Feel free to put down your Questions in comments as we are here to help you to get rid of Eyelid Bumps.